This summer we have been fortunate to join forces with many incredible environmental organizations around the world, all working towards a swimmable, drinkable, fishable future. Through the Swim Guide affiliate program, these organizations are more easily able to share the work they are doing to protect and restore their local waters. With over 80 affiliates across 7 countries, the Swim Guide affiliate network is bigger and stronger than ever. 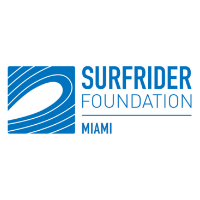 The fifth Surfrider Chapter to join the Swim Guide affiliate program, Surfrider Miami is taking a solutions-based multi-tiered approach to tackling ocean pollution. As part of Surfriders Blue Water Task Force Program, the Miami chapter tests 6 locations weekly along Miami’s famous coast. Surfrider Miami’s BWTF is in operation year-round, providing public health protection especially in the offseason when health departments reduce their testing frequency, while surfers and other local constituents continue to surf and use the water. 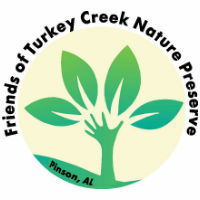 The Friends of Turkey Creek Nature Preserve is a non-profit organization dedicated to preserving and promoting Turkey Creek Nature Preserve in Pinson, Alabama. Home to historical sites, native plants and wildlife, and gorgeous recreational areas, Turkey Creek Nature Preserve is a true gem for local residents and travelers alike. In addition to their native plant nursery, public awareness raising, educational events, and environmental clean-ups, The Friends of Turkey Creek also conduct bacterial monitoring for both of the popular swimming holes found in the preserve. 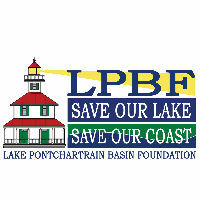 Dedicated to protecting the famous waters of Lake Pontchartrain, the Lake Pontchartrain Basin Foundation aims to drive environmental sustainability and stewardship through scientific research, education and advocacy. In 2001, the organization started its own water quality monitoring program to document the lakes water quality, and to encourage recreational use. This program has also helped to improve water quality in the Basin through several pollution reduction and infrastructural improvement initiatives. Today, they still actively monitor 10 sites and now use Swim Guide to help get their results into the hands of the public. Pearl Riverkeeper is a citizen-based non-profit dedicated to advocating for improved water quality, educating the public and promoting recreational opportunities in the Pearl River watershed. 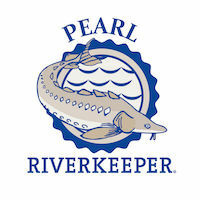 Located in Mississippi, the Pearl Riverkeeper promotes clean swimmable, drinkable fishable water. Pearl Riverkeeper conducts its own water quality monitoring on the Ross Barnett Reservoir and the Pearl River using the protocols developed by Alabama Water Watch. Learn more about our affiliate program here!